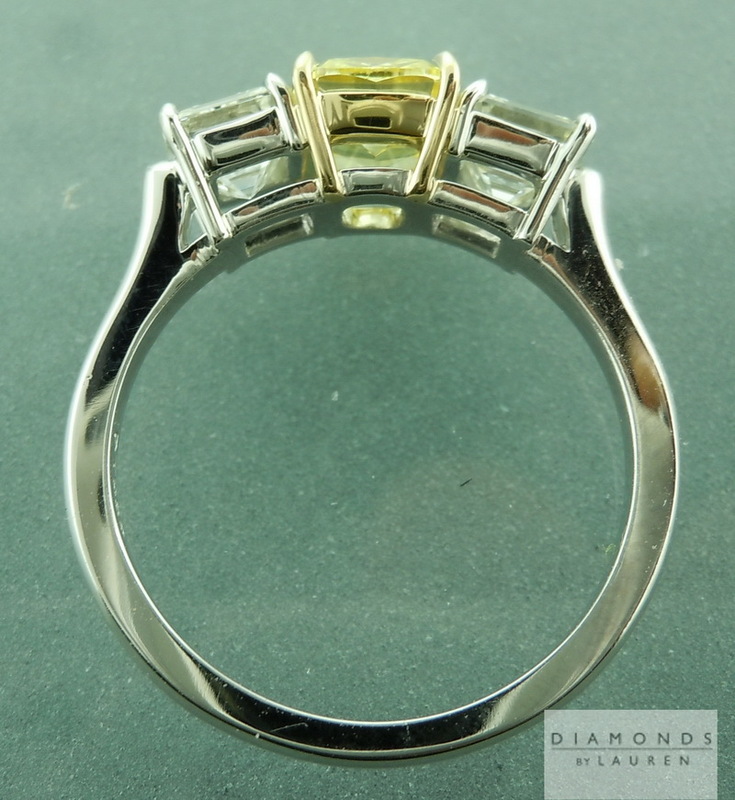 Here is a great example of contrast in a three stone ring. 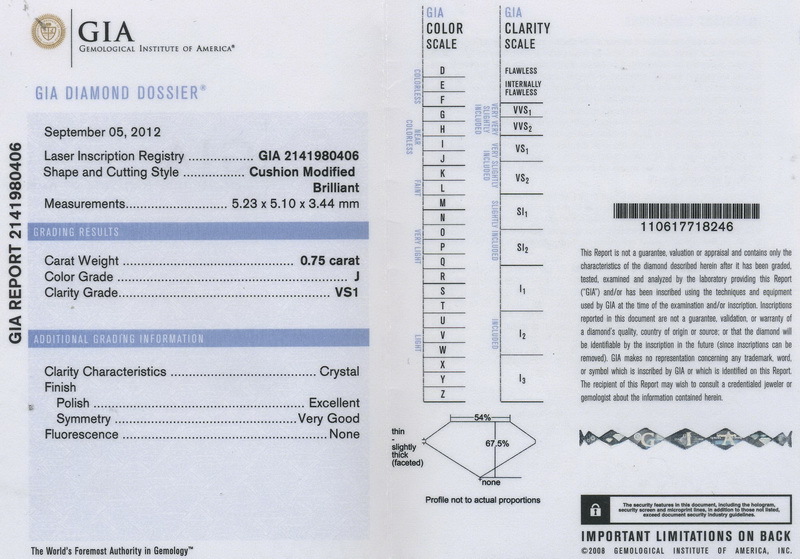 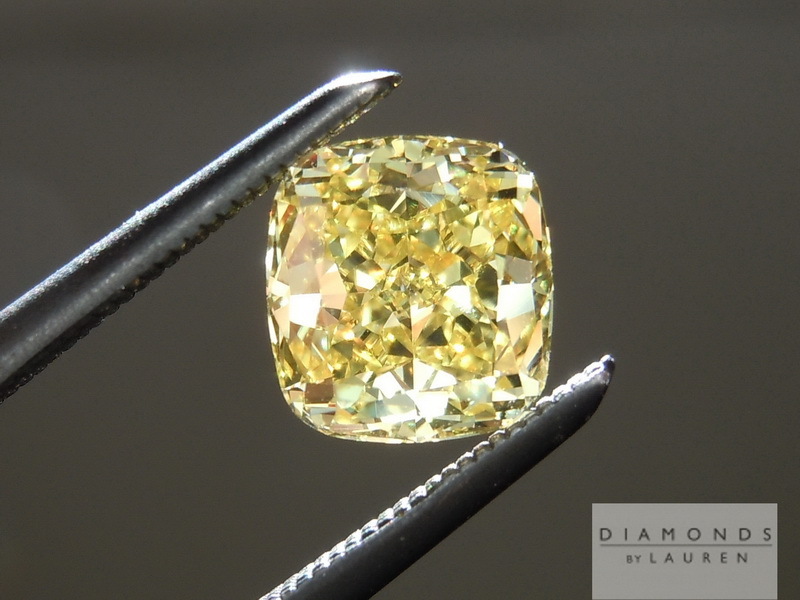 Contrast in the color between the diamonds - as well as contrast in the cut. 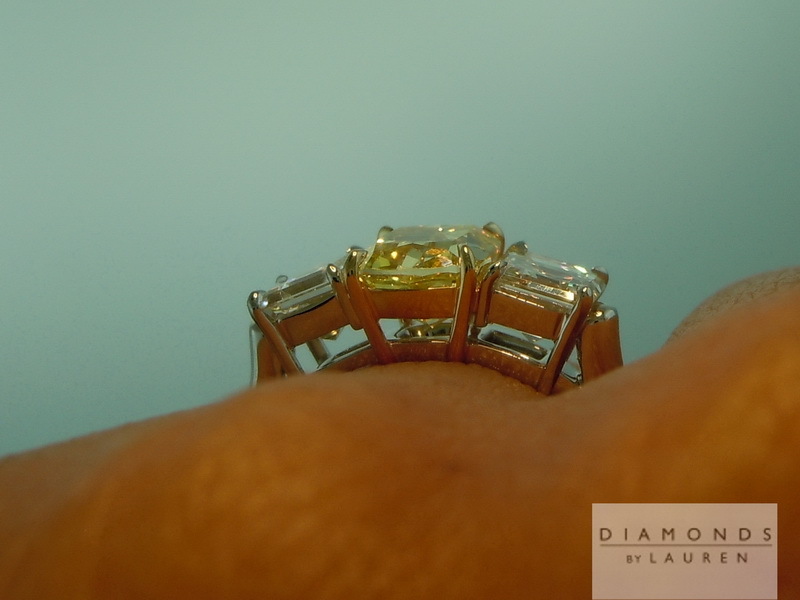 The setting, hand forged in platinum and 18kt yellow gold is perfectly executed - built for a lifetime of wear. 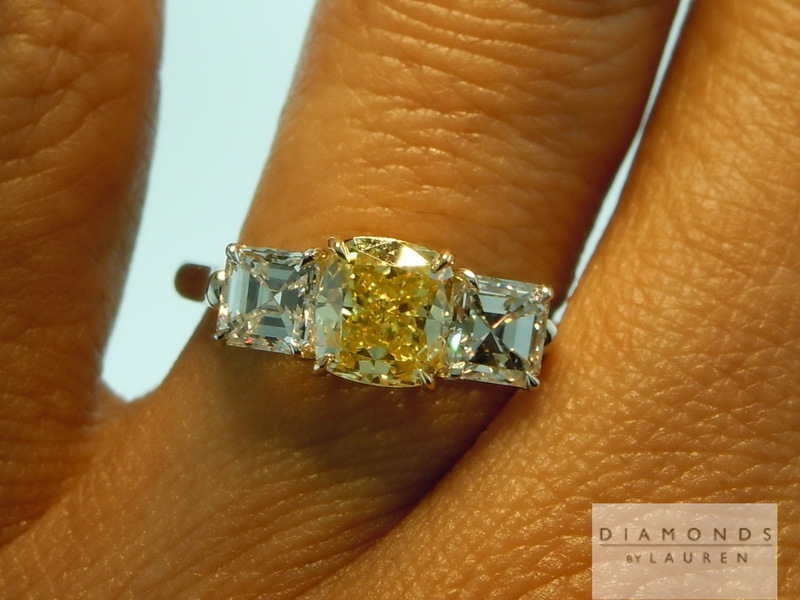 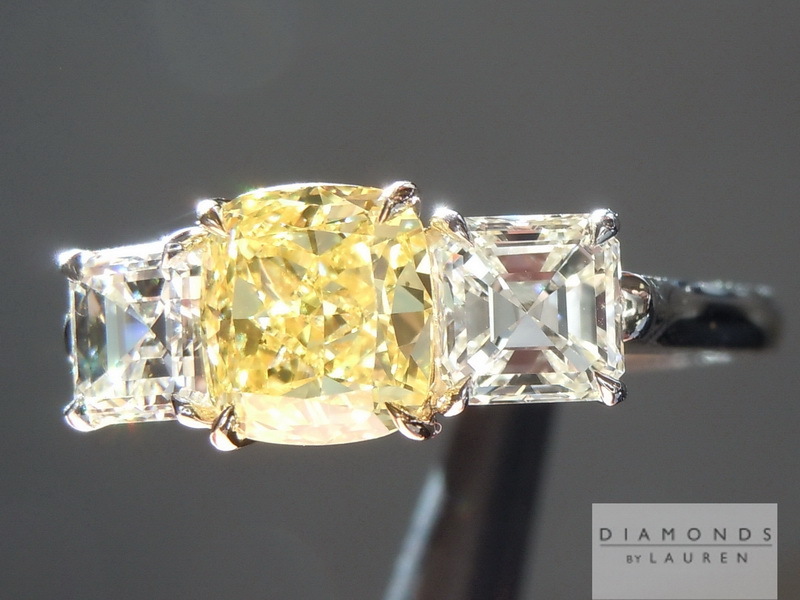 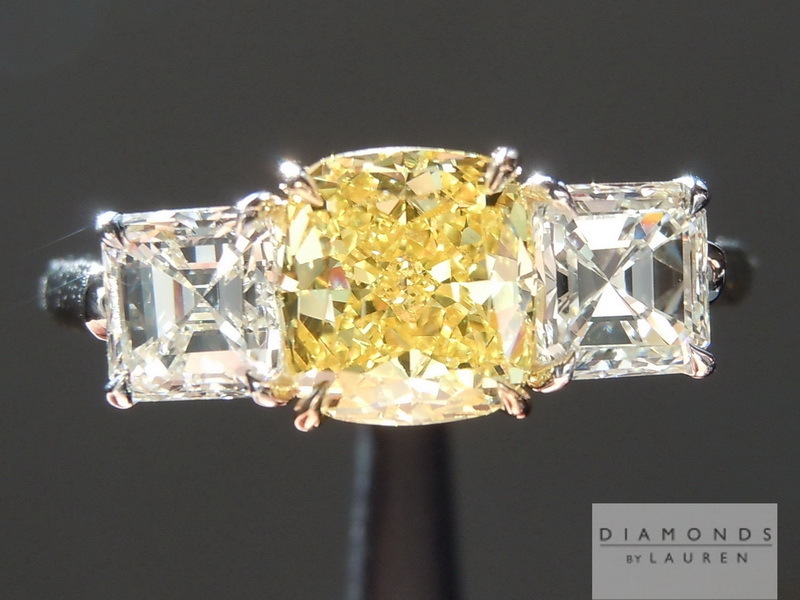 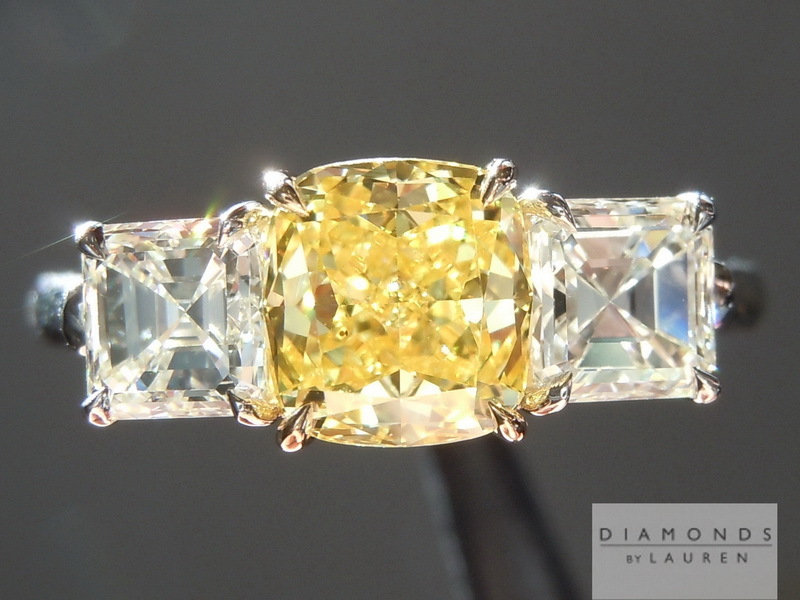 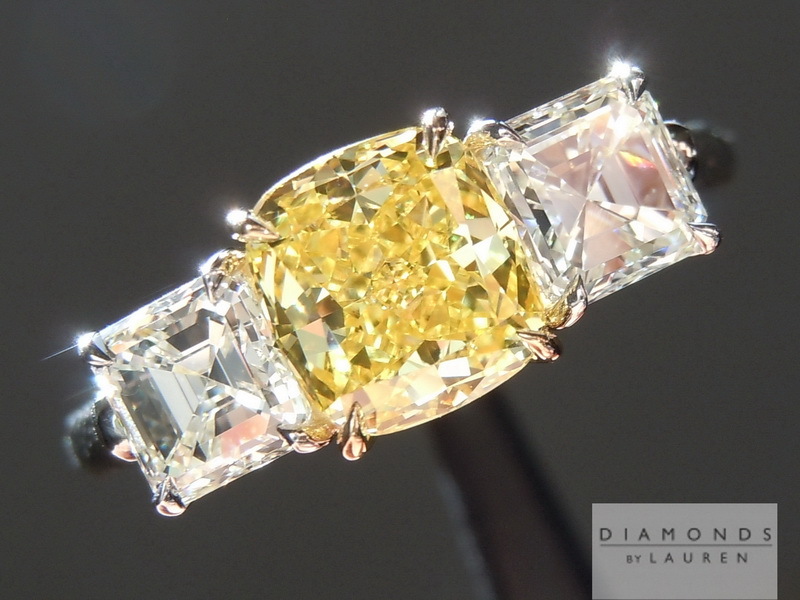 Here is an absolutely gorgeous fancy vivid yellow cushion cut diamond. 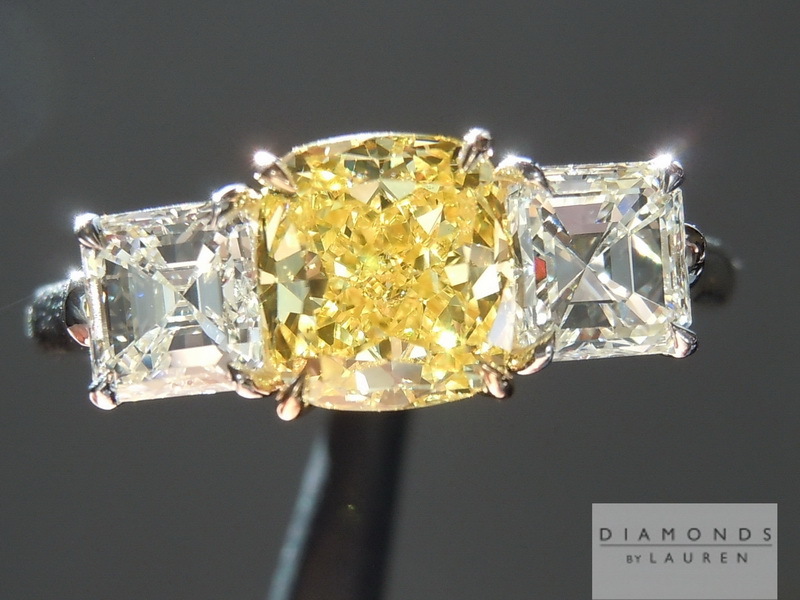 One of the most amazing aspects of this diamond, is the extraordinarily beautiful cut. 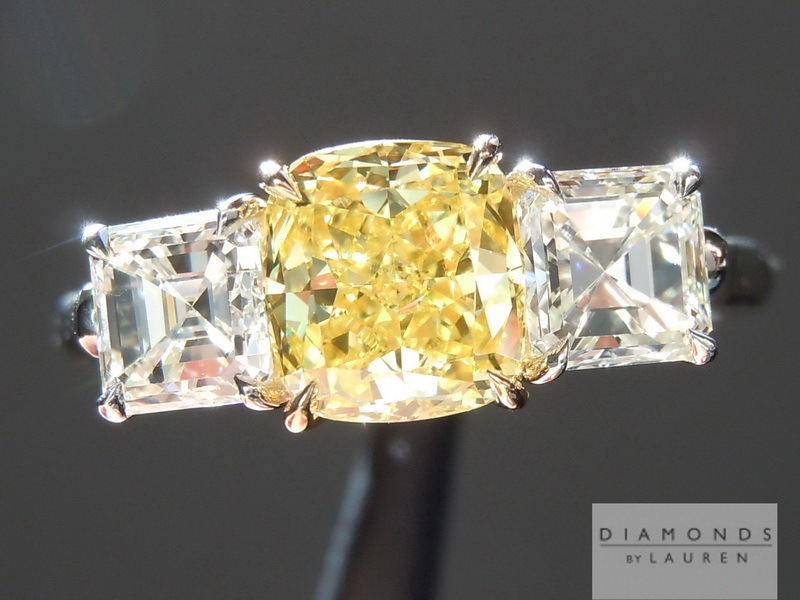 It's a modern cut cushion – the absolute very finest manner of fancy colored diamond cutting. 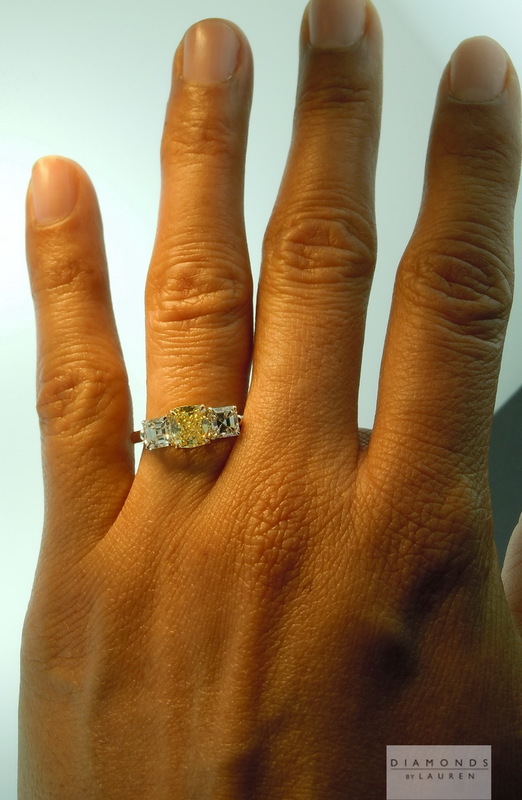 The diamond is a very desirable size at 1.18 carats, and the cut, which I keep raving about, means that the diamond looks closer to a typical carat and half cushion cut fancy colored diamond. 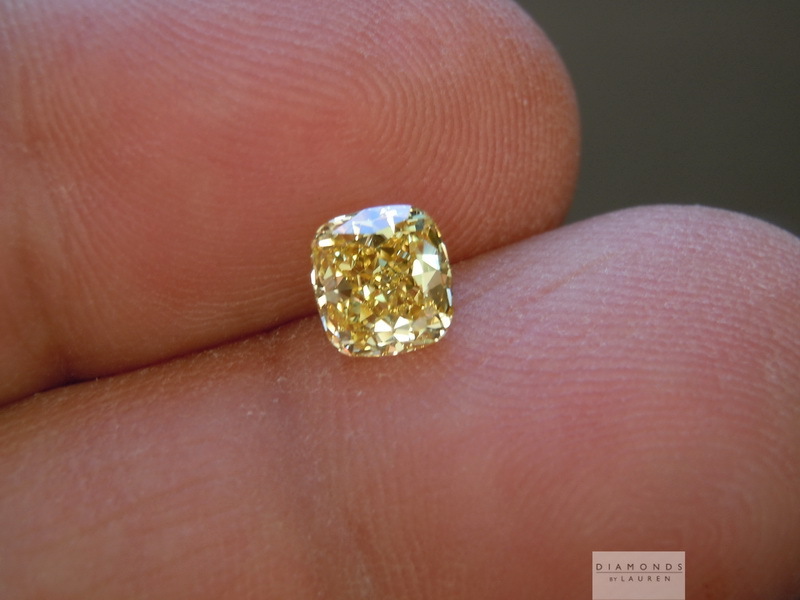 Combine this with the beautiful vivid yellow color, and you have an incredibly bright stone and the whole stone is bright through a wide range of angles of viewing. 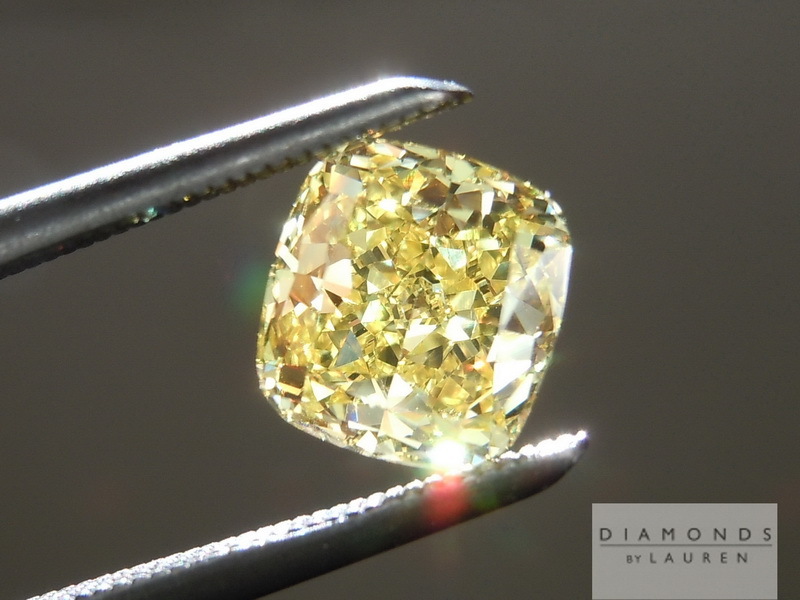 Although the diamond is totally eye clean – if you look at these ultra-close-up photos and can't see the imperfection, you won't have a chance of seeing it with your naked eye.